Montoya Community Center, 245 N Thorpe Rd. 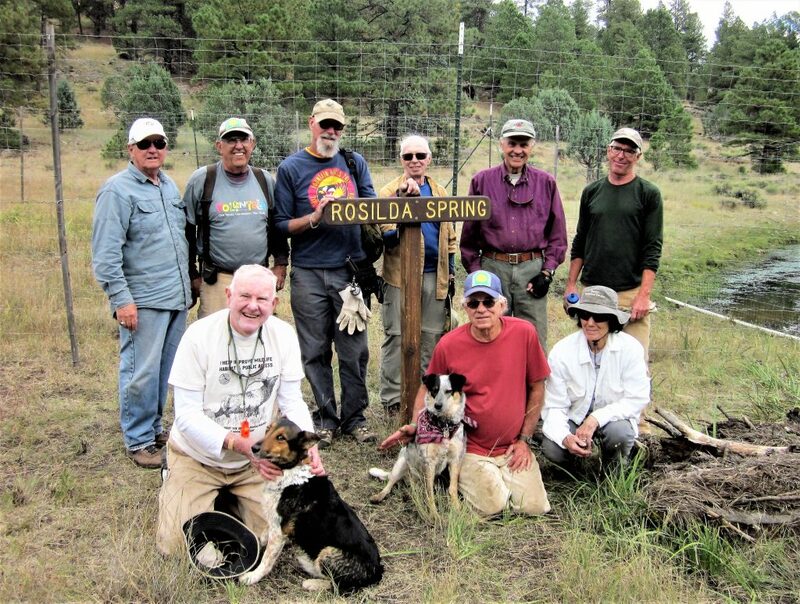 The Friends of Northern Arizona Forests (FoNAF) gather for a photo opp at Rosilda Springs. Photo from the the FoNAF website. With high elevation comes snowy winters in the Flagstaff area. Locals enjoy cross-country skiing, snowshoeing, and quite walks among ponderosa pine and the occasional gambel oak. With snowy winters comes plastic sleds. Unfortunately, these disposable, flimsy sheets of plastic which bring so much joy to their users for one day often end up as broken bits of litter in our forests. Flagstaff residents have taken action to address the mess. The Friends of Northern Arizona Forests (FoNAF) is a nonprofit organization that is dedicated to assisting the resource management agencies in maintaining, protecting, and restoring the natural and cultural resources and the scenic beauty of our forest lands for the enjoyment and use of present and future generations. FoNAF assists the Forest Service and other agencies on tasks that these agencies do not have the staff or funds to accomplish. On Thursday, February 7th we will hear from Tom Mackin, FoNAF Board President. Tom is a retired Technical Specialist with the Coconino County Sheriff’s/Flagstaff Police Department who has spent over 35 years volunteering with various agencies. Tom will share FoNAF’s successes over the years and help members learn how to get more involved with their projects, from sled cleanups to fencing projects and more.